The Los Alamos Little Theatre (LALT) is soliciting show proposals from local production teams for its 2019-20 season. We are looking for proposals for September and November of 2019, and January, March and May of 2020. The Board will be looking for a diverse line-up to comprise the season. Generally, that diversity includes a dramatic play, a musical, a comedic or farcical play, a “classic” (well-known) play, and perhaps something new or that stretches the boundaries of LALT and its audience. Proposals should also take the balance of roles for men and women into account, as well. In addition, given that Los Alamos Light Opera will also be presenting their big musical in the fall of 2019, we are giving priority consideration to small cast productions for November of 2019. With a murderer on the loose and the body count rising, Dana Hunt has to throw out her police training and turn to a new source for leads — the audience. Los Alamos Little Theatre’s January production, Murder at the Lone Elm, is an interactive murder mystery in which the audience gets to help the head of hotel security try to figure out who is murdering people at the Lone Elm Inn. Questions from the audience help elicit information from the multiple suspects, and at intermission audience members are asked to write down who they think the murderer is. Correct guesses will go into a drawing for prizes at the end of the show. Our special New Year’s Eve performance of Murder at the Lone Elm will proceed as planned this evening. Please be careful out on the roads tonight. We want all our patrons to be safe. If you’ve purchased a ticket for this evening, but decide not to attend due to the weather, LALT will honor your ticket at any future performance of Lone Elm (contact us at boxoffice@lalt.org to add yourself to the “will call” list for a future showing). Murder at the Lone Elm will run January 4-26, with Friday and Saturday evening performances at 7:30PM (ice cream service starts at 7), and a special Sunday matinee on January 13th at 2PM. The cast and crew of “Murder at the Lone Elm” get ready for their opening performance New Year’s Eve. 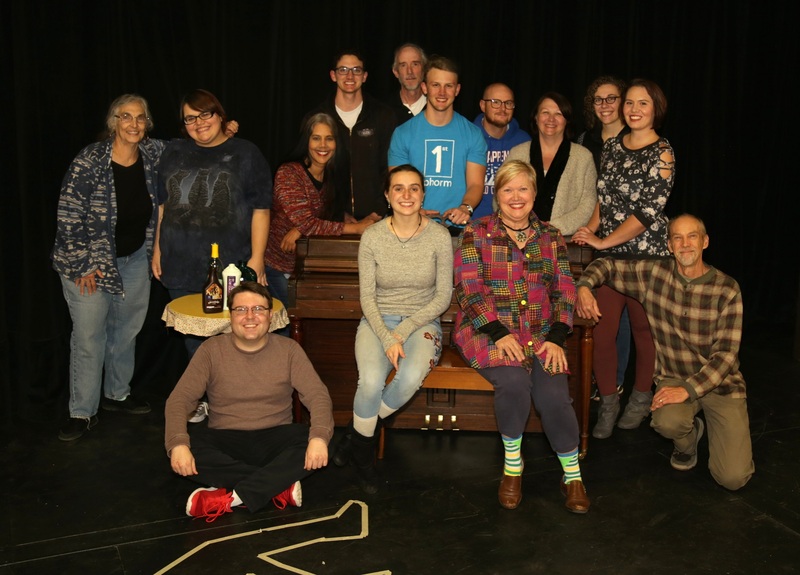 At top, standing, from left are actors Terry Beery, Cassandra Bowman, Shashi Charles, Matthew Waller, Spook Kellum, Aaron Waller, Joey Robinson (stage manager), Trish Ebberts (assistant director), Teresa Bradford and Alex L’Esperance. At bottom, kneeling or sitting, from left are Miles Ledoux (writer and director), Megan Pimentel, Gwen Lewis and John Gustafson (producer). “Murder at the Lone Elm” is an interactive murder mystery, in which the audience is invited to help figure out whodunit. The show opens Dec. 31 at the Performing Arts Center 1670 Nectar Street. Doors will open at 7 p.m. with service of ice cream and toppings, with the show starting promptly at 7:30 pm. If you are wondering what to do this New Year’s Eve, why not get in touch with your inner Sherlock Holmes and come help the Los Alamos Little Theatre figure out Whodunnit? LALT will offer a special New Year’s Eve performance of its January show, “Murder at the Lone Elm,” at 7:30 pm Dec. 31 at the Performing Arts Center, 1670 Nectar Street in Los Alamos. “Murder at the Lone Elm,” written and directed by Miles Ledoux, is an interactive murder mystery — meaning the audience gets to interrogate the suspects to see if they can determine who the murderer is. Los Alamos Little Theatre will host a class on directing the short play February 16, 2019, at the Performing Arts Center, 1670 Nectar Street. The class is being held as part of the preparation for LALT’s May 2019 production of eight 10-minute plays. This format, offered by LALT for the sixth time, is an opportunity for people interested in becoming more involved in theatre to gain experience in a more controlled, abbreviated manner than required for undertaking a full-length play. Los Alamos Little Theatre has announced it has received a generous donation from the estate of John Longer. 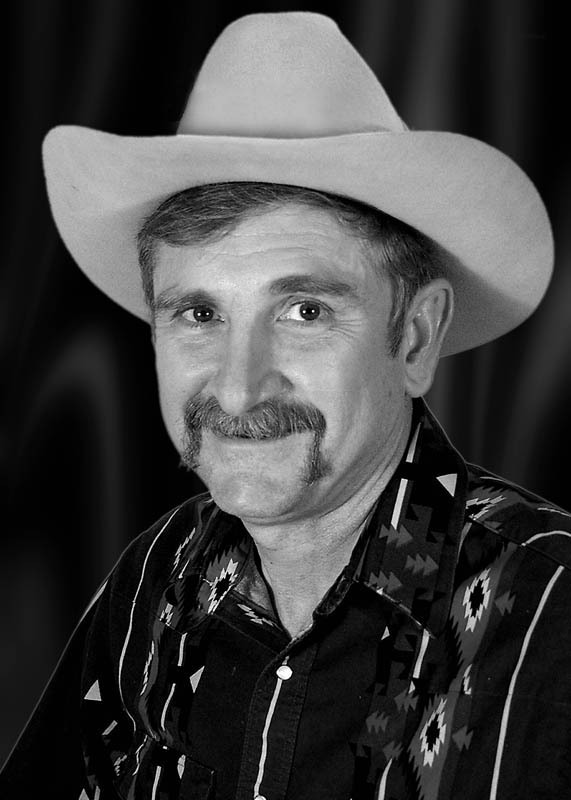 Longer was a longtime LALT member who passed away in 2006. Board member Gracie Cainelli recalled that Longer once transported the set for LALT’s entry in a regional competition to Oklahoma City on his trailer. “He drove for 12 hours in the pouring rain. When he got there he had to rebuild the set overnight because the rain had ruined it,” Cainelli said. Donate to LALT through the Amazon Smile Program. Choose LALT as your designated 501(c)3 charity and the AmazonSmile Foundation will donate 0.5% of the purchase price from your eligible AmazonSmile purchases to LALT. To register your Amazon account with LALT as your designated charity go to smile.amazon.com/ch/85-0279625.